Phoenix Bathrooms are historically more well known for their range of baths and whirlpools having previously been known as 'the Phoenix Whirlpools'. 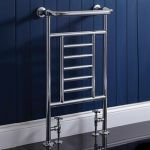 The manufacturer based in Leeds, Yorkshire is now in its 20th year of operation and has steadily refined and built an enviable range of mid-tier bathroom products. With a few tweaks to their name they are now officially Phoenix UK. The bathroom heating products were originally included in the main product brochure. 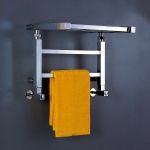 This consisted of a few traditional style wall mounted towel rails, a couple of standard towel warmers and the odd square profiled design in order to add products that would tick the modern and contemporary design box. These offerings were bookended with compatible valves and heating elements. Jump forward a few years and 'Phoenix UK' now have a dedicated 'Phoenix Heating' brochure in its 3rd iteration with a vast range of radiators with product options suitable for use throughout the home. 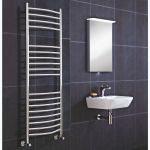 Options include traditional towel rails or old-fashioned school style radiators, budget as well as premium dual fuel bathroom towel rails, flat panel and designer central heating radiators perfect for adding a focal point to any room. 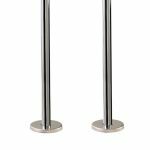 The range of accessories has also been extended with multiple finishes of valves as well as hydrostatic and European options being made available. Phoenix have also dipped their toe into underfloor heating. Their solution is both dependable and extendable with a touch screen control unit also part of the product line-up. 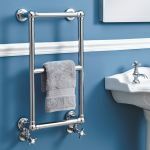 The best seller is the excellent Phoenix Athena towel rail finished in polished stainless steel. 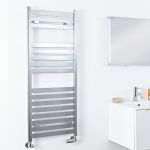 With lots of heights, widths and heating outputs this product has found its way into bathrooms up and down the country. The fact that there's central heating, electric only and dual fuel versions further supports the ubiquitous nature of this product. 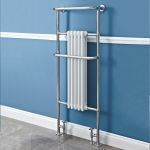 The stainless-steel finish with its natural details that distinguish one from another is a cut above a standard chrome finished radiator with a great heat output and attractive oversized rails to match. The reality is that there's very little that can go wrong with heating products. Still peace of mind in knowing that if something should go wrong the manufacturer has your back is worth having. All the Phoenix Collection of heating products have a minimum of 12 months guarantee with many having 5 or even 10 years and spares are also readily available. If you're looking for Phoenix online then you're in the right place.